Can anyone believe that September is just around the corner? Seriously, where did the time go? 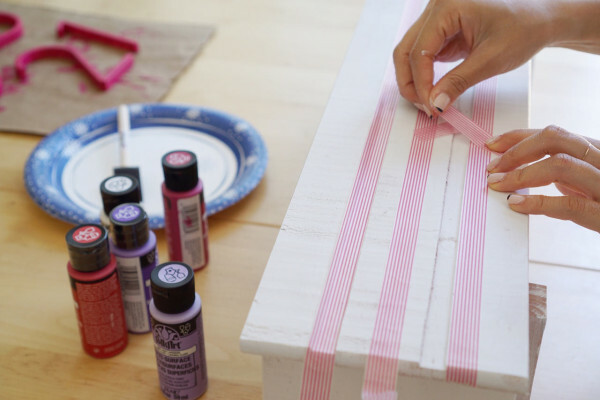 With summer’s end on the horizon, I’m super excited to share with you a new Design Milk DIY that you can squeeze in before the fall arrives. I thought it was time to give a makeover to something that’s sometimes overlooked in a home (or rather, on a home): the address numbers! 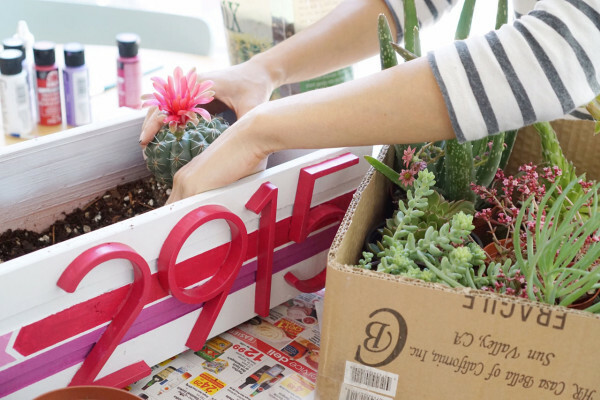 It’s one of the first things your guests and visitors look for, and with this modern address planter filled with succulents and desert blooms, there’s no way they’ll miss your house the next time they come over. 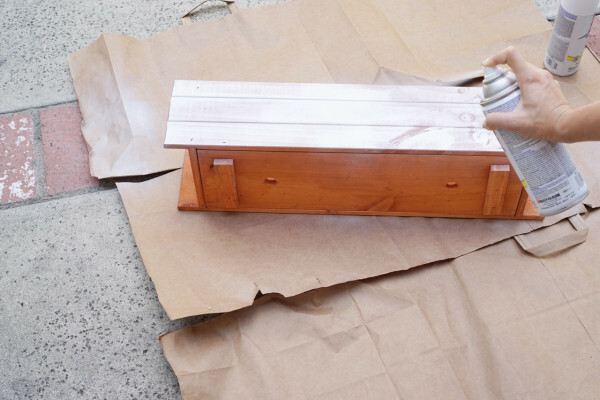 Spray paint your planter with primer, which will help seal up any unevenness or holes in the wood. Do one light coat and wait until dry before doing another coat. 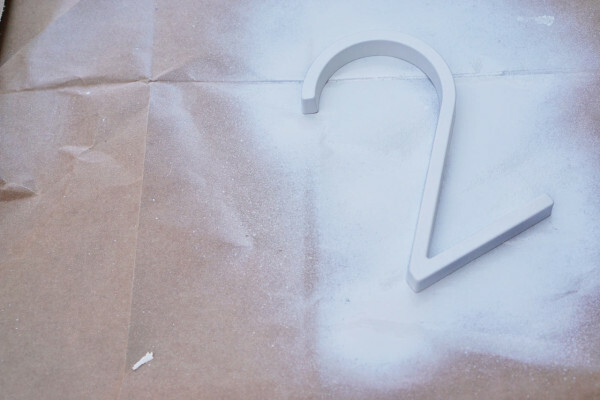 After letting the primer dry for 30 minutes, spray paint your planter with the white paint, again in light even coats until the planter is completely covered. You can also spray paint the top half of the inside, since the bottom half will be covered with soil later on. 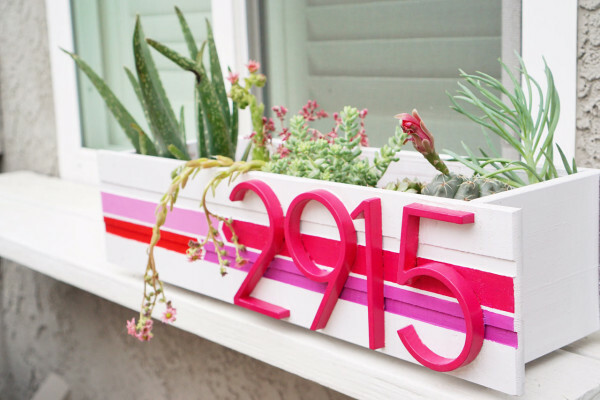 Put aside your planter to dry, and spray paint your numbers with the primer. This will help the acrylic paint we’ll use later on to adhere to the metal. 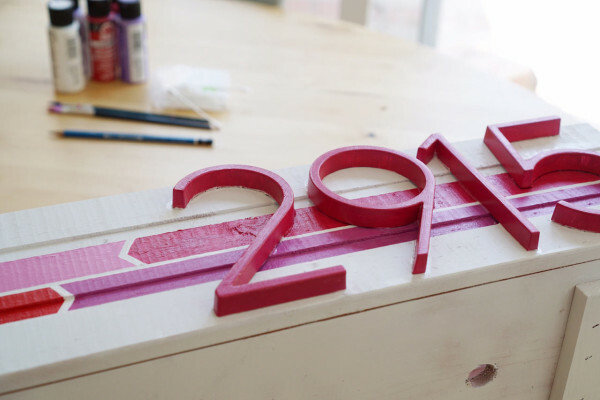 Using a brush of your choice (I chose foam brushes), paint your numbers, being sure to get the top, sides and crevices. 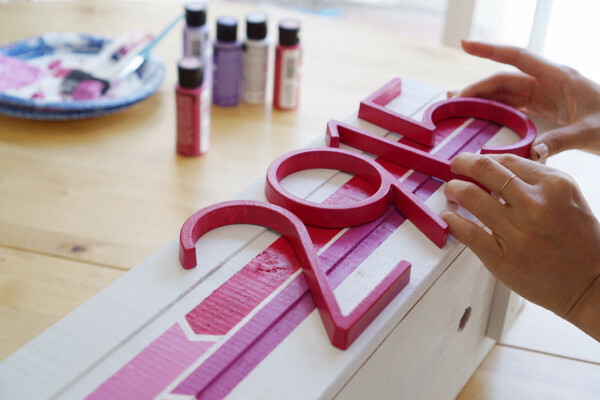 Depending on your brush, you may need to give the numbers a few coats to give it a nice even finish. 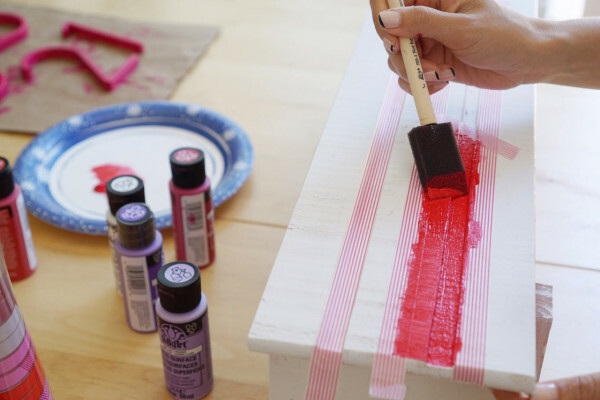 Set aside your numbers to dry and grab your freshly painted planter. It’s important to make sure your planter is dried completely at this point, especially if you’ll be using tape to create a design on the front. I used washi tape, which is typically less sticky than your average tape, but you can definitely use painters tape if you have it handy. If you only have Scotch tape, try removing of the stickiness by sticking it alongside your table, removing it and repeat as necessary. I did this even with washi tape to ensure that the tape wouldn’t peel off any paint after I removed it. 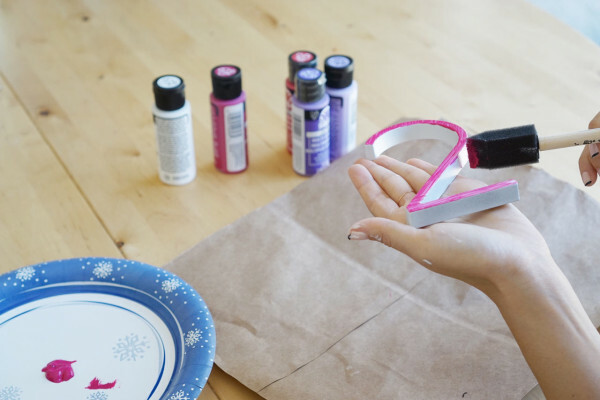 Tape off a design to your liking and paint to your heart’s content! I painted arrows in colors that complemented the succulent flowers, but you can do anything you want here! 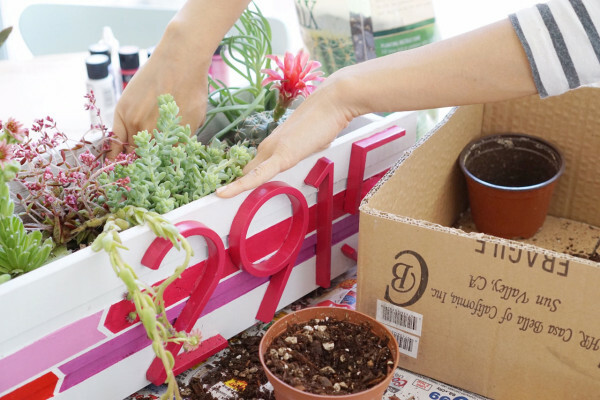 This is where you can make your planter completely your own. Pro tip: if you make any mistakes, wipe off and go over the flawed area with a tiny brush dipped in white acrylic paint. 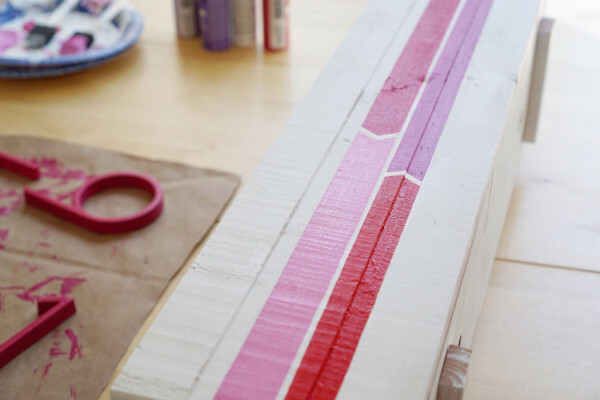 Some of paint seeped under random areas of the tape so this tip helped give me the straight lines I wanted. Be sure your tape is completely taped down to avoid any mishaps! By now, your numbers should be completely dry. Position them onto your planter (I chose to align right) and, taking a pencil, very lightly mark various sections around your numbers. This will help you position the numbers when you actually glue it on. If you have all of the tools listed inside the packaging that came with the numbers, go ahead and follow the steps to nail the numbers onto your planter. 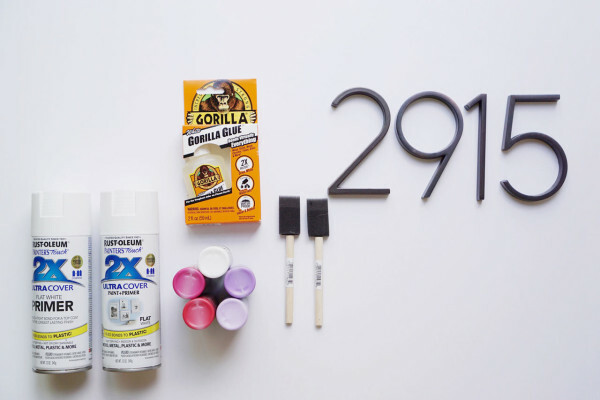 If you don’t happen to have caulk or a power tool handy (guilty hand raise here), Gorilla Glue will definitely bond your numbers and planter together. Use a very light hand as Gorilla Glue expands as it dries, and it dries white. One by one, apply glue to the back of numbers and stick them onto your planter using the markings you made earlier as guides. 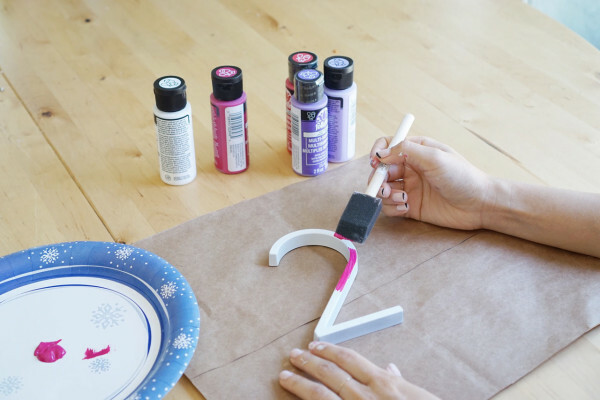 Using Q-tips, wipe away any excess glue that expands out from beneath the numbers and, if needed, paint over any glaring white glue spots after the glue dries. Let the numbers rest until completely dry (about 30 minutes). If you like, you can place books on top of the numbers to make sure they completely adhere to the planter. Optional step: Consider applying weatherproofing spray or sealer at this point. Depending on your environment, this extra step will help ensure that your planter remains intact no matter what weather may come your way. 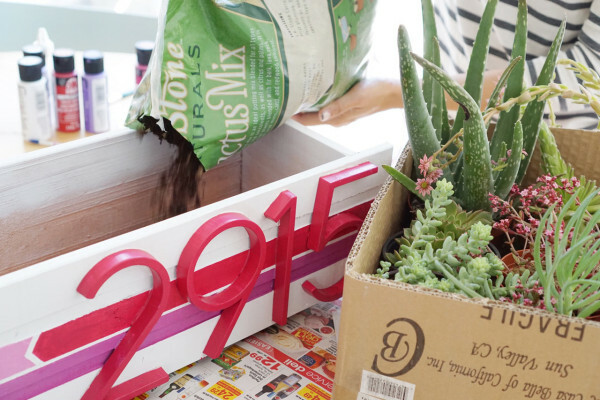 Lay out some newspaper and start filling your planter up with the succulent mix and the succulents. 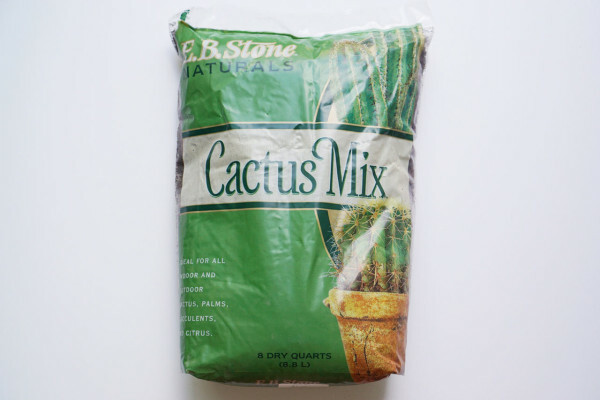 Be careful – some of them might be prickly, so we recommend wearing gloves for this part. 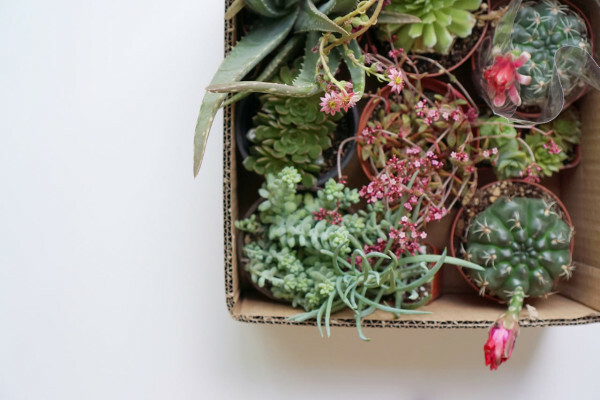 When choosing your succulents, it’s best to choose ones that are taller so that they can be seen at eye level. Since I knew my own planter would be placed at a lower level, I included some mini succulents that would be seen from above as well. Install your planter. This step will vary according to everyone’s homes. My apartment has stone walls, so my planter sits on the windowsill instead. 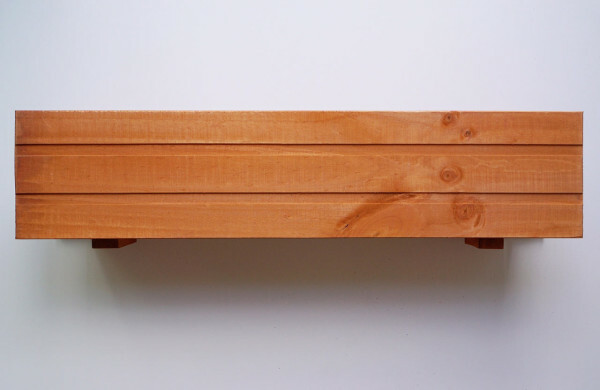 Explore various options to best install the planter for your own home, whether that involves nailing the planter directly onto your house, installing brackets, or using rope to hang the planter. 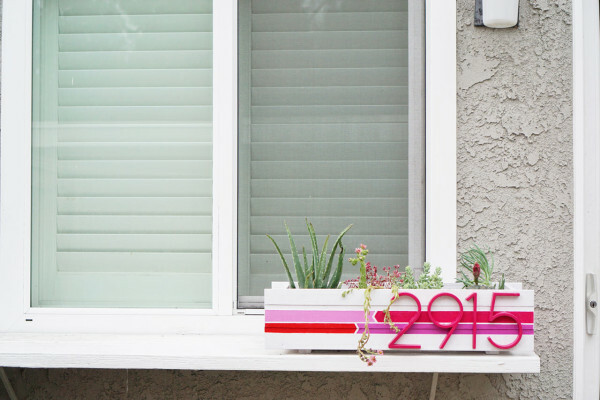 Whatever your choice, the end result is a colorful and eye-catching planter that will stop your guests in their tracks when they approach your home!